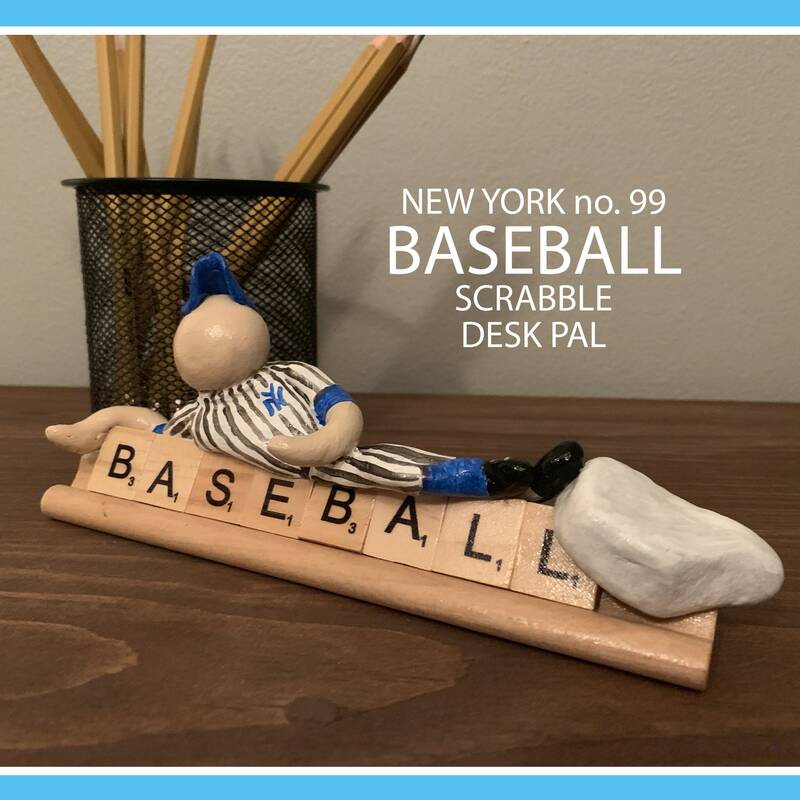 New York Baseball Desk Pal no. 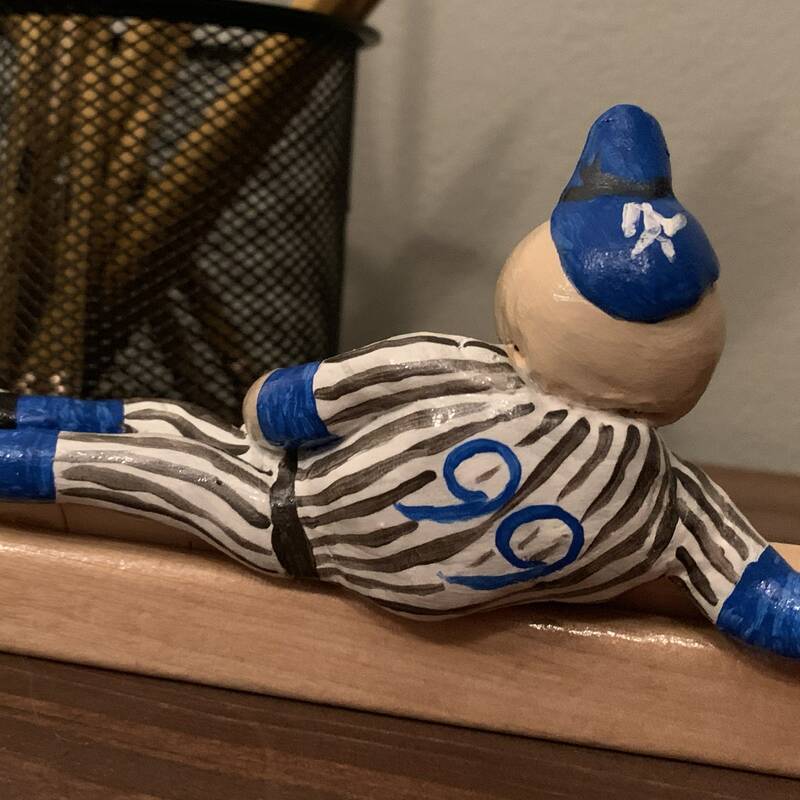 99 wants to slide into your home. 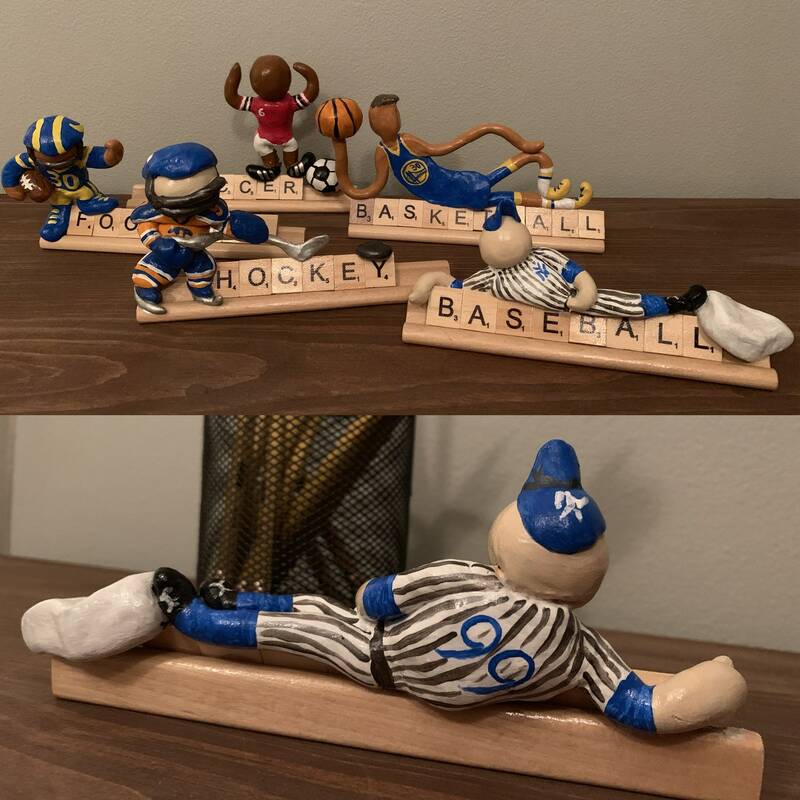 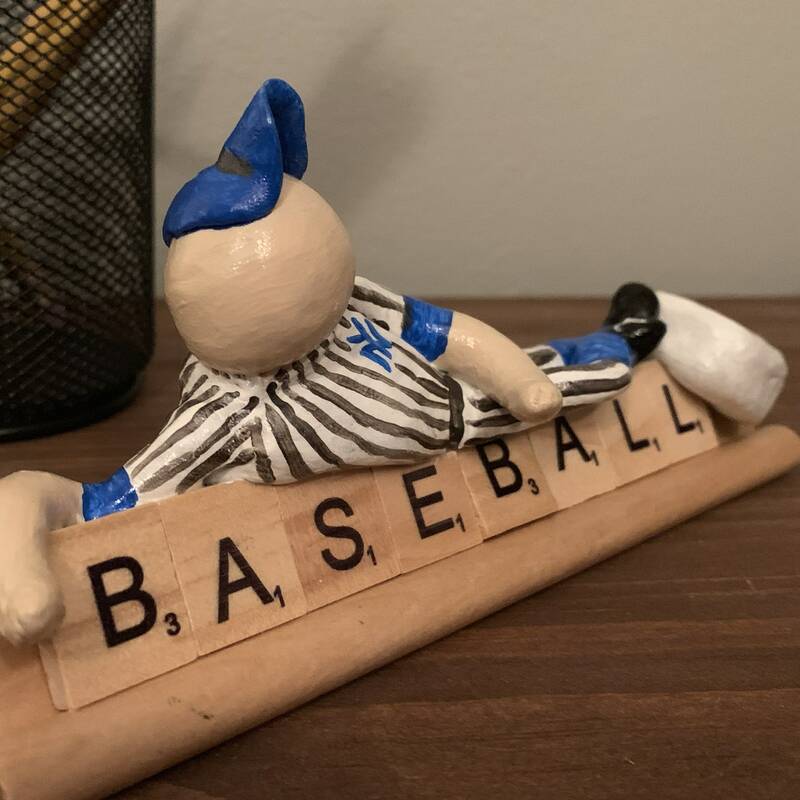 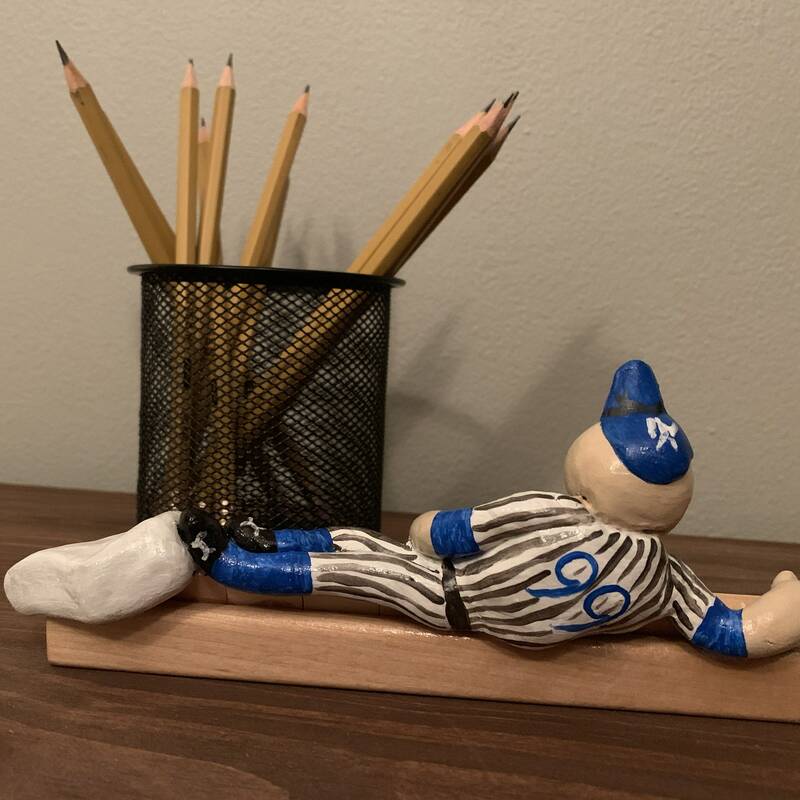 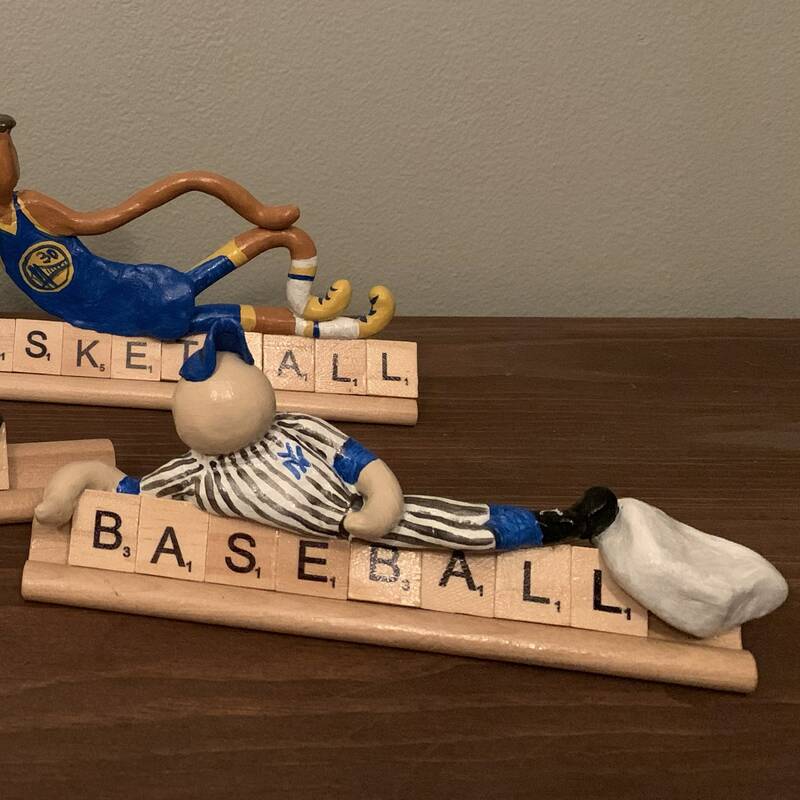 This fun art collectible is a handmade one of a kind scrabble tile baseball art piece. 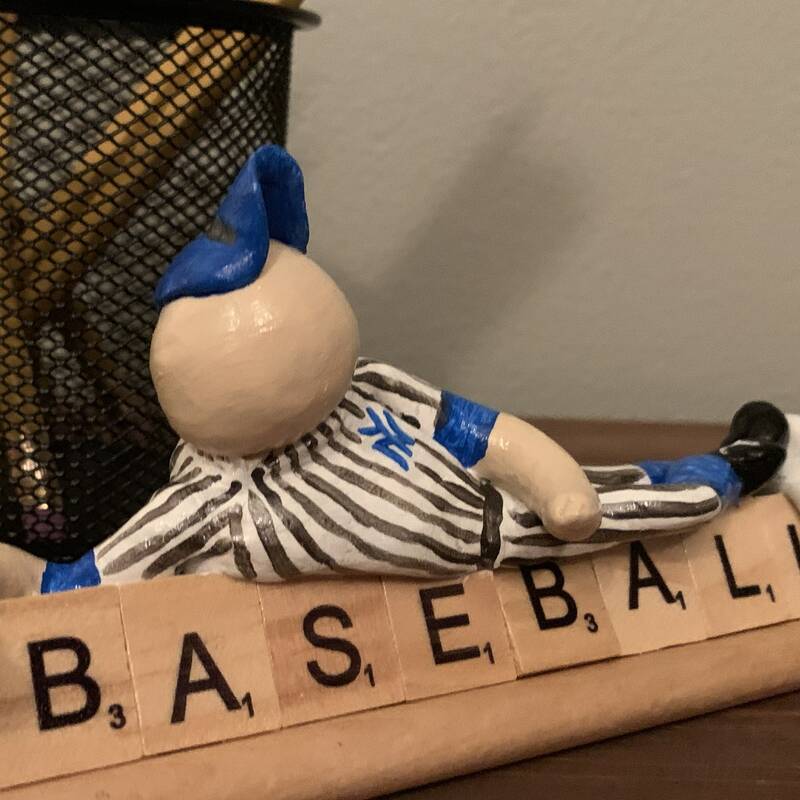 A right fielder who is ready to join your team if you adopt him.